Feeling distant or disconnected? Tired of getting stuck in seemingly endless cycles? Join thousands of couples all over the world who are already enjoying a stronger, intimate connection! 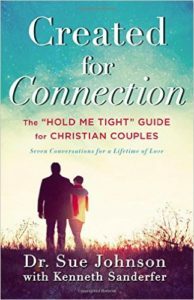 This Workshop and NEW book is based on the bestselling Hold Me Tight™ Book and Program taught all over the world! Make your relationship a priority this year! CREATED FOR CONNECTION™ COUPLE WORKSHOP! Having facilitated the Hold Me Tight® Couples Workshop OVER 25 TIMES, Alex believes in and has witnessed the power of hope and change, so we are now facilitating this experience everywhere!